Services | Sable Marco Inc. 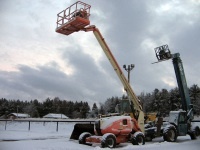 Since 40 years in business in the preparation and bagging of a full range of products for all seasons. 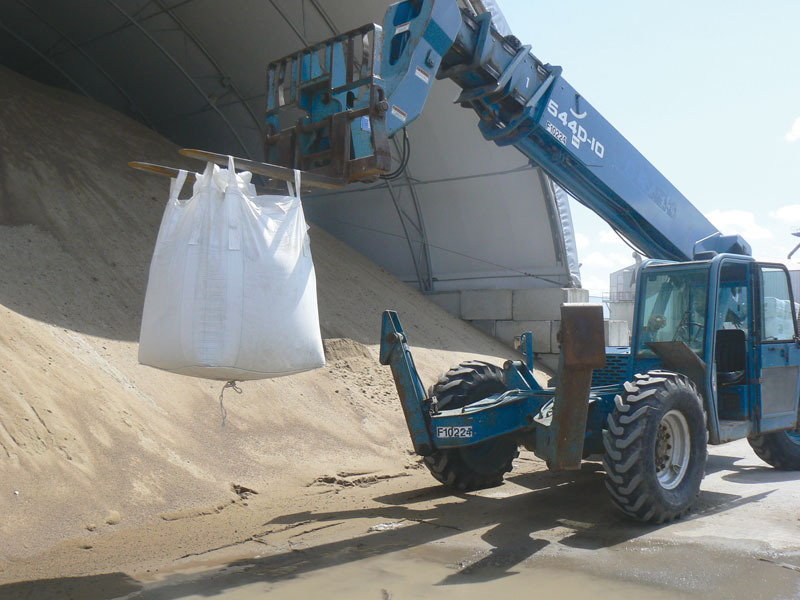 Sable Marco with its multiple equipment can bag virtually any material in bulk. We can make sizes up to 40kg, paper bag, plastic or even jute. Some products can be bagged in large bags of 1000 to 1500 kg. 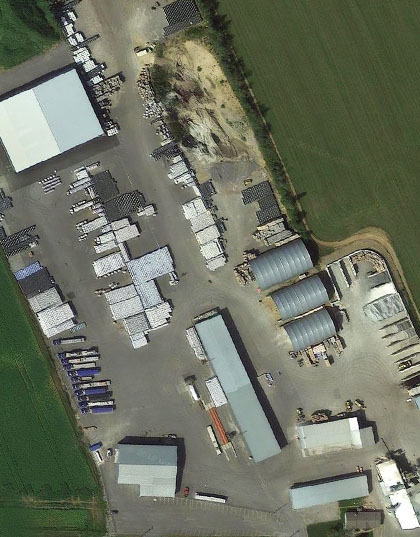 We can also handle pallets, pallet plastic packaging of your choice and even the delivery service. 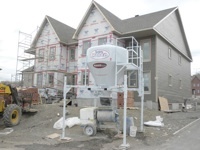 Reduce waste, eliminate empty bags, sand, and waste of time on your job sites with the hopper service allowing the use of our 1,500 kg super mortar bags. 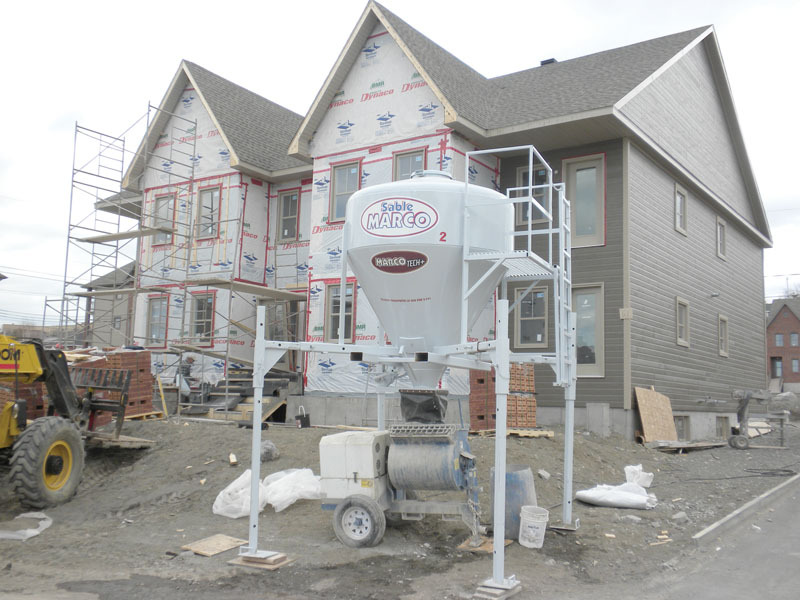 Sable Marco's Mortar Hoppers are available for masonry work and can be delivered directly to the distributor or at the job site..
2 models of lifts are available for rental. For information, contact customer service at 1-866-999-4509. 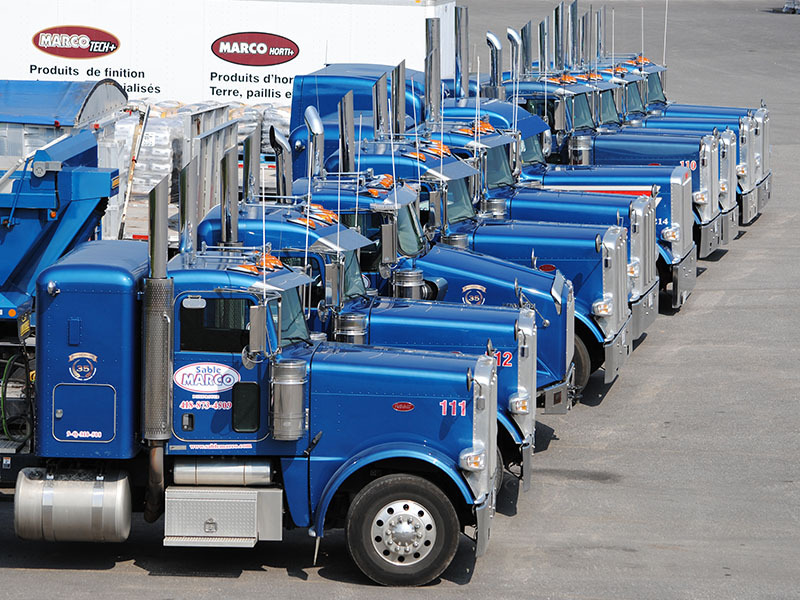 Sable Marco has its own truck fleet for truck delivery in Quebec, Atlantic (Maritimes), Ottawa, Ontario and United States. 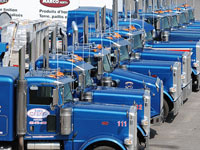 4-axle flat bed trailers, B-train, "Dry box" and 4-axle bulk trailers. Contact Martine Boileau or Luc Béland for customer service at 1-866-999-4509. A sandblasting service is available upon request at Sable Marco. For information, contact customer service at 1-866-999-4509.